A few weeks ago, rap wunderkind, Kendrick Lamar released his highly anticipated album, good kid mAAd city, to much applause. I too join in the chorus of music critics, hipsters, internet dorks, bandwagoners and anyone else who sings this albums praise. But more importantly, the deluxe edition of this album features some deluxe artwork; a Polaroid styled photograph of either a third or fourth generation Dodge Caravan. Upon closer inspection, the rims on this vehicle are consistent with the Chrysler version of the Caravan, the swankier and more stylish, Town and Country. Too many reasons why a young G would want to roll through the streets of Compton in a minivan. The fold down seats make it easy to set the mood for young ladies willing to do things while parked in front of the Pacific Ocean. The sliding doors ease the ingress/egress of family members while loading up the fam for church, or if one needs to let off a few rounds to avenge one of the homies, again, sliding doors people. Not to mention plenty of storage space behind the back row of seats, perfect for hauling groceries, football equipment, and assorted weaponry and contraband. 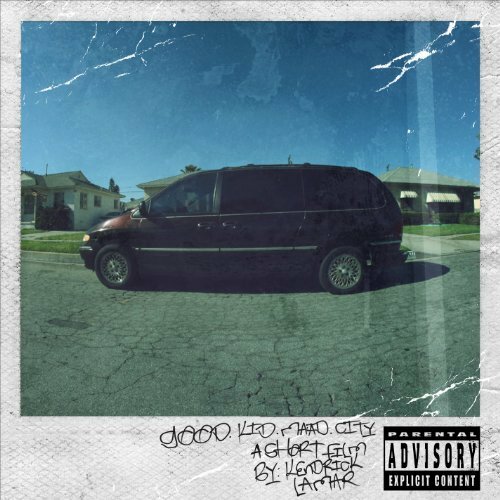 Not since Wu-Tang Clan shouted out the Mazda MPV in their classic Can It All Be So Simple, has a minivan been so prominently featured in hip-hop, and we wanted to thank Kendrick Lamar for bringing the minivan back to its well deserved glory.